The great Gunung Agung is awakening Bali residents with over 650 seismic activities per day since September 21. What are local priests and spiritual leaders doing about it? Clouds of steam rise 250 metres above the summit of Mount Agung, the most spiritual and highest point on the island of Bali. Gunung Agung means “great mountain” and every Balinese will at some time take a pilgrimage to the stratovolcano considered the “Home of the Gods.” The holy mount is the most spiritual place in Bali, and it plays an incredibly important role in the day-to-day existence on this island paradise. The Balinese legend states that Agung was created when the Hindu god Pasutati split Mount Meru–the spiritual axis of the entire universe–and formed Mount Agung from a fragment of that axis. Bali remains the only stronghold of Hinduism in the archipelago. The Balinese religion is an amazing amalgam of Hindu/Buddhist/Animist beliefs with unique practices through their traditionally strong ties and respect for the natural world. The Balinese are connected to their birthplace with the practice of burying the placenta in their home. These strong ties with the natural world have been severely challenged over the last 50 years since Mount Agung’s last eruption. What are the Balinese doing about the rumblings of their powerful deity? Enong Ismail knows. 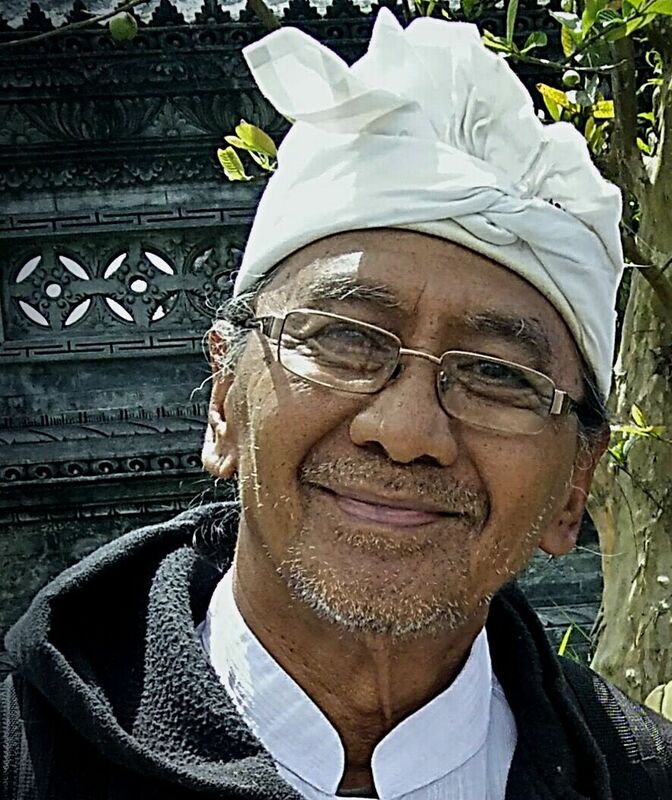 As the Curator of the Arts at Istana Mancawarna, Tampaksiring, the Sukarno and also Social/Cultural Attaché for the Balinese on events such as religious observances by the Balinese communities; he is an expert in the field. He is also a teacher of the Balinese language, its traditions and culture. Bali maintains the exclusion zone and the evacuation remains in place for half the evacuees; the other half having been allowed to return to their homes as ongoing warnings of the impending eruptions continue. After a severe decline in tourist bookings, local tourism authorities say that only two percent of the island would be affected if Mount Agung were to erupt. Uncertainty surrounding a possible disaster could see tourism plummet up to 30 percent. It is advised that all visitors, citizens and residents wear face masks at all times when out of doors as the ash has been dispersed and blown throughout the island. Keep covered and say your prayers. Mount Agung is one of 130 active volcanoes sitting on top of the Ring of Fire, and Indonesia boasts the most volcanoes in the world. The range of volcanoes in Bali divides it into northern and southern regions with four primary sacred mountains and the sacred Lake Batur. Gunung Agung is the abode of Batarc; it is also Mahadewa or the supreme manifestation of Shiva. The sacred Mount has not deterred tourism thus far.